New York LED Luminaries (NYLL) is specialized in linear LED tubes to replace traditional fluorescent lamps from 2 ft to 8 ft with LED output ranges from 10 watts to over 100 watts seamlessly as simple as changing a light bulb. We work with this technology and call it Re-Lamping. Our Re-Lamping Series directly replace traditional T8 and T12 fluorescent lamps. It is fully compatible with Instant Start, Programmed Start and Rapid Start electronic ballasts plus legacy pre-heat magnetic ballasts with or without starter. 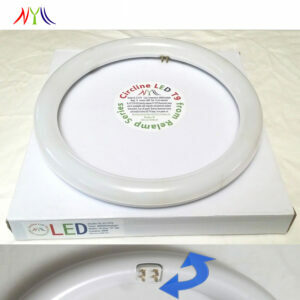 The advance engineering design allows 2 lamp, 3 lamp and 4 lamp systems with even brightness across the lamps. The innovative LED layout and circuitry design provide a lower heat signature along the tube. The configurations are available in G13, FA8 and R17d/RDC lamp bases. The list of our products are the most common in lengths and lamp bases. Due to the large amount of fluorescent lamps on the current market, we carry these models in our product line. 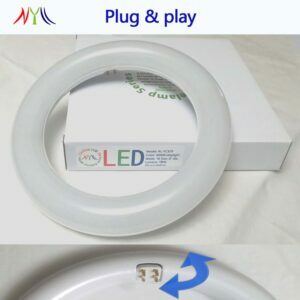 Our products can be customized per client’s specification in lumen/wattage, length and lamp base to fit their needs. For lamps that are not listed in the product section, please contact us with the requirements. We sure a solution or prototype can be provided.